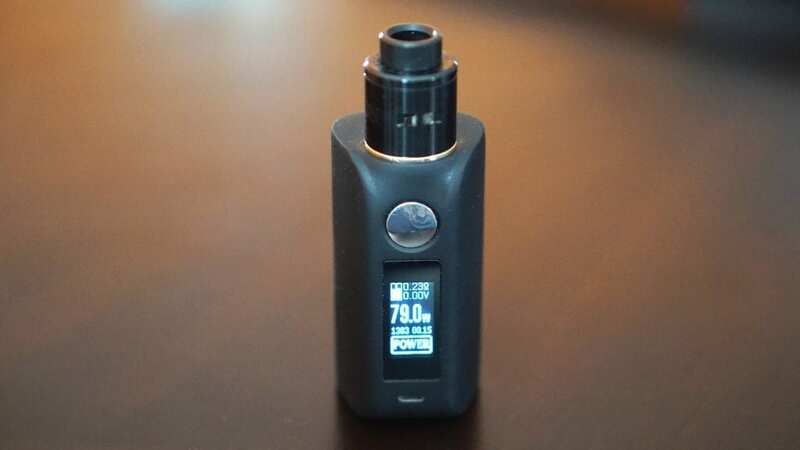 asMODus Minikin 2 Review | Does It Live up to Its Predecessor? 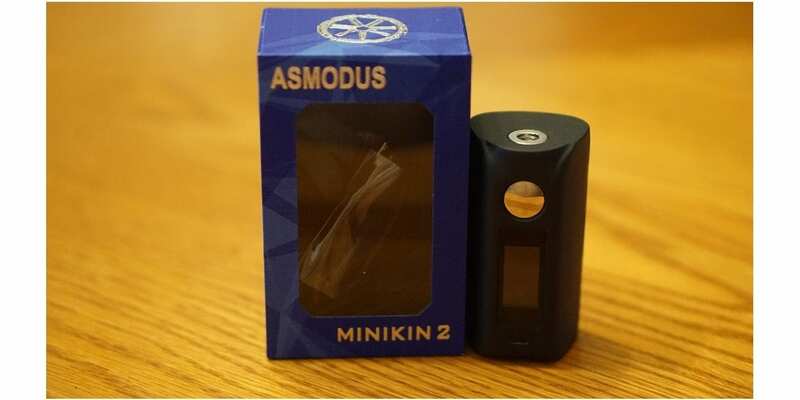 The original asMODus Minikin was a pretty popular device as it offered the user a unique design, and had plenty of features. Also, many vapers are fans of the brand asMODus as they do offer great quality products at solid prices. Even though the design of the original was quite popular, the asMODus Minikin V2 sports a much different design and adds a touch screen. Even though this device isn’t the newest to hit the market, it still is a box mod that is sought after. Before getting any further into this review, I would like to thank Efun Top for sending this device for the purposes of this review. I will go over my first impressions, using this device over time, performance, pros and cons, and conclude with whether or not I recommend this device. The asMODus Minikin V2 Box Mod does come in a pretty ordinary blue box, and the front is clear, so you can see the device immediately. I did receive the black color for review, but there are other color options available such as Gold. Once you take off the plastic and slide open the packaging, you are greeted with the mod. When first seeing this device, I really liked its shape and overall design. In addition, the screen itself is quite large and right above it is where the fire button is located. When I first held it, I was instantly reminded of a Vapor Shark product as it has that same type of rubberized coating. I am personally a fan of this type of coating, but this is subjective and some vapers may prefer something different. Inside of the packaging you do receive a micro USB cable and an instruction booklet. The packaging itself does do a good job of keeping the device safe, which is definitely a pro in my book! Even though I do love some fancy packaging, the most important aspect to me is that the packaging keeps whatever device or atomizer safe during transit. This device does require 2 high drain 18650 batteries for operation and they are ran in a series configuration. The battery door itself has very little play to it, and there is zero button rattle. There is a battery ribbon within the battery tray, which is great and makes it easy for you to take out your batteries. There are battery venting holes located at the bottom of the device. Also, the fire button is also nice and clicky, which I’m sure many vapers prefer! Overall, I was quite impressed with the build quality of the asMODus Minikin V2, and I was a huge fan of the rubberized coating! So it’s safe to say that my first impressions were all positive! After using this device as my primary dual 18650 regulated box mod for about 2 weeks now, I can surely say it’s been a pleasure. The overall vape experience (which we’ll get into later), and the comfort this device offers makes it a great daily carry. Like mention previously, the fire button is nice and clicky, but it is also quite large which makes it find and fire. I must say that I was worried about the touch screen as I have had some issues with touch screen devices before. However, this one is a bit different, and is not as fancy in comparison to some other touch screen box mods. The display screen itself is large and it is very easy to see since it is bright. You can adjust the brightness if you wanted to dim it down a bit or make it brighter. Five clicks will turn it on and off. Once the device is on, you can simply slide your finger down the screen, and it will unlock. Once you hit the fire button, it will automatically lock, which is a feature I do appreciate. The last thing you want is for the screen to be unlocked and have the settings adjusted while it’s in your pocket or purse. When you do unlock the device, you can easily touch a specific area and it’ll take you into the menu or to adjust. Touch the wattage will allow you to easily change the wattage, and touching power will take you into a menu where you can select temperature control. Honestly, the touch screen function with the Minikin 2 is silky smooth and I never once had an issue with it. I do want to say that when you are unlocking it, do not swipe your finger too fast as it may not unlock. I usually swipe my finger at a moderate pace, and it unlocks just fine. The battery door is also very good with this device, and it has very little play to it. In addition, I never had this box mod rip any of my battery wraps, which is a huge pro in my book! The asMODus Minikin 2 is also very comfortable to hold and vape with. The shape is quite unique, but it does contour to your hand quite well. No matter whether I was firing it with my thumb or pointer finger, it was comfortable to hold. I do recommend firing it with your thumb since you won’t be accidentally touching the screen. If you do touch the screen and try to take a vape, it won’t fire. Not really a con, but just something worth mentioning. Leaving this device in my pocket I had no issues whatsoever. I mostly turned it completely off when it was in my pocket, but the times when I did have it on, I had zero issues. It does fit quite well in the pocket, and I’m sure it’ll be fine in any purse. This box mod is definitely on the shorter side, but a bit on the thicker side. Regardless, it is very comfortable to use and pocket friendly! If you do spill some e-juice on this mod, it doesn’t really look well and may be a bit difficult to completely come due to the rubberized coating. It’s hard to explain, but if you’ve had a mod with this type of coating, you’d understand exactly what is being mentioned. It’s not really a con, but I would avoid spilling any e-juice on this mod. I did have e-juice leak onto it, but the coating held up fine. One last thing to mention is that atomizers up to 25mm will sit flush with no overhang. This is definitely a huge pro as many atomizers being released to the market are either 24mm or 25mm. All in all, using this device over some time has been great. It’s incredibly comfortable to use, and the touch screen system works flawlessly! Like mentioned previously, the asMODus Minikin 2 does require 2 high drain 18650 batteries and it is configured in series. It does have a maximum wattage output of 180w, and I can’t really say it does accurately hit that high of a wattage since I do not have the necessary equipment to test this. However, I can say that vaping it well above 100w, it certainly feels like it’s delivering! Not to mention, there is no delay with the fire button, as soon as you press it, it fires! I don’t typically vape above 100w, so for me, I was perfectly satisfied with its performance at lower wattages such as 60w and 70w. It also features temperature control for Ni200, Ti and SS wires. There is a TCR and TFR mode, so you can easily fine tune your vape experience if you prefer. Now, I did not test this device in Ni200 or Ti TC mode since I do not really vape these wires any longer, but I did test it in SS temperature control. When vaping in temperature control in SS, it worked great! I never experienced a dry hit, and when the e-liquid was running dry, it did not burn the cotton while vaping. I did prefer to use the TCR mode for SS temperature control as I did find this to be a bit more accurate, but I think for most vapers, the standard TC mode for SS wire will work just fine. The battery life was surprisingly great. I’m not too sure why, but the battery life I get with this device is slightly better than other dual 18650 box mods. I’m assuming this device is pretty efficient and that’s the cause of the increased battery life. With two Samsung 25R 18650 batteries, I could easily get through most of the day, if not all day vaping between 55w and 70w. This is definitely a pro in my opinion! All in all, the performance of the asMODus Minikin 2 was excellent. I literally have zero complaints in regards to its performance, as it simply works great! In conclusion, I’m a big fan of the asMODus Minikin 2 and while it’s not the newest device to hit the fast moving vape market, I still think it’s a solid dual 18650 box mod and an excellent addition to any vaper’s arsenal. I did try very hard to nail down some cons, but honestly I couldn’t find any that were. There were two subjective cons that were mentioned, but both of them I’m okay with. I actually like the rubberized coating, and the touch screen works great in my experience. I think vapers who like the feel of Vapor Shark products will absolutely love the feel of this one, especially when you consider it’s ergonomic design. Also, the coating of the one I have been using have held up perfectly over time with no scratches or anything. I must admit that this device is a bit on the pricier side especially when comparing to other devices from Smok, IJoy and other companies, but I’d easily purchase another one if I lost or had it stolen. It simply works great and feels incredibly comfortable in the hands. This device is definitely staying in my rotation, and I don’t see it being replaced anytime soon. All in all, if you’re a fan of the series or looking for an excellent dual 18650 box mod with tons of features, excellent battery life and more, then I can easily recommend the asMODus Minikin 2! I hope you find this review helpful in finding the right device to fit all of your vaping needs! Feel free to leave any questions or comments down below! Thanks for reading! Thank You for the review, good information as always! You’re welcome! Glad you liked the review!